This tool is designed for raking leaves and removing loose moss and grass cuttings from the lawn and other areas in the garden such as gravel paths. It is an essential tool with a shaft made from pine wood which fits beautifully in the hand when yard cleaning. 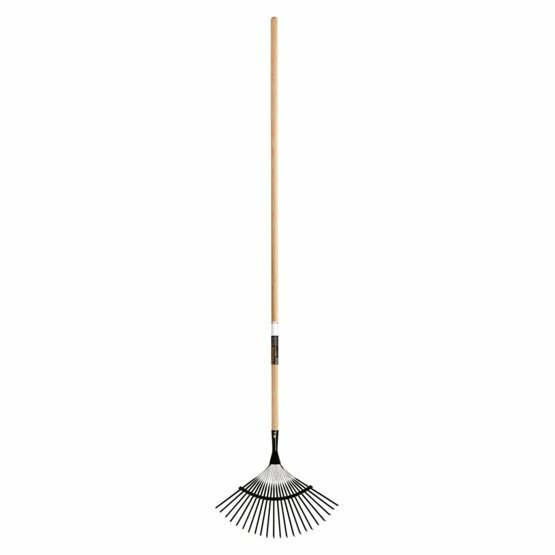 Its 22 flexible and durable steel prongs in the rake head ensure that a good measure of leaves and debris is swept up with every raking movement and yard cleaning becomes an easy pleasure.